A B.C. couple says their baby daughter saved their lives after a furnace started leaking carbon monoxide overnight. Kyle and Monique Ruppel were asleep in their Kamloops home last week when their 15-month-old daughter, Celia, woke her mom up. "I attempted to make my way to her room but only made it a few feet before being completely overwhelmed with vertigo," Monique wrote on Facebook Sunday. "Kyle immediately woke and we quickly realized something was wrong. We both suffered from dizziness, headache, nausea, and burning eyes." The couple managed to pack a bag and call Kyle's parents. By the time the grandparents arrived, Celia was throwing up and the family cat had collapsed. The Ruppels were taken to a local hospital and then airlifted to Vancouver General Hospital for treatment. 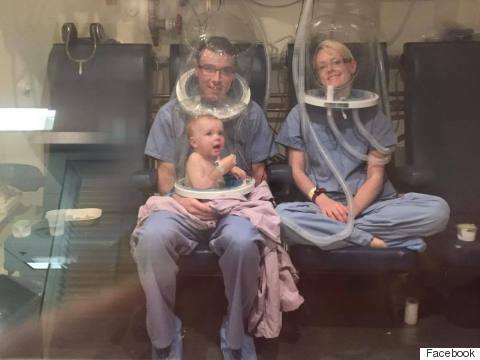 The family spent over seven hours in a hyperbaric chamber receiving oxygen therapy. They are expected to make a full recovery. The couple had no carbon monoxide detectors in their house, Monique wrote. "We are so thankful Celia woke us. 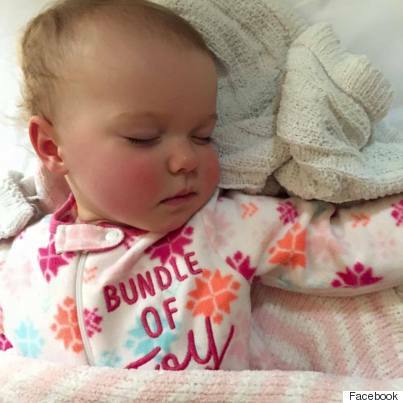 We often wished she would sleep through the night but we do not feel that way anymore," said the mom. "Our sweet, sweet baby saved us all."